Mens and Women’s NEW white cotton crew socks, 500 total: (400 men’s and 100 women’s). Socks will be donated to the New England Center for Homeless Veterans. Bring your donations to our Boston Cares office weekdays through Tuesday, September 8th between 9 am-5 pm. (We will be closed on Labor Day.) We’re located right near North Station at 90 Canal Street, Suite 610. Directions here. 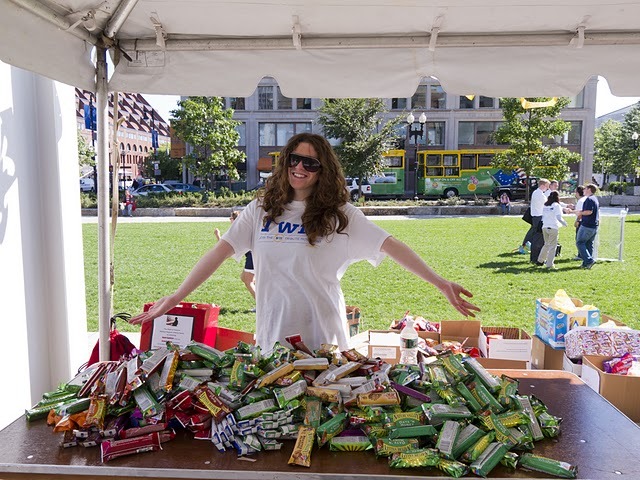 Transport your donations to the Rose Kennedy Greenway on Wednesday, September 11th at 9:00am. This project is part of the Boston Cares 9/11—Remember & Serve Initiative. In 2009, the passage of the Edward M. Kennedy ServeAmerica Act formally recognized September 11 as a National Day of Service and Remembrance under federal law and Presidential Proclamation.